For those that do Azure presentations / screen recordings you know that you often find yourself scrubbing out your sensitive and personal information such as subscription keys, email addresses, keys and connection strings. What if you could have this magically done for you? Well let me introduce to you a handy Chrome extension called Azure Mask that will mask GUIDs (such as Subscription IDs), email addresses, keys, and connection strings with a blur. The intention of the extension is to make it easier to do screen recordings without revealing sensitive, personal, account information that may show up on screen. NOTE: This extension will only run and apply against Azure portal URLs. As mentioned on the Azure Mask GitHub repository readme, you can install this extension in Chrome from either a package or from source. Let’s take a look at how we can install from source. This is a fantastic tool. Thank you Mads Kristensen for creating this tool for the community! How many times have you tried to upload or email your Visual Studio solution, only to find out that your zip file contains files and folders that you didn’t mean to include, like the bin, obj and other folders. What about source control bindings? Yes that too will get included. Well I came across a great utility called Clean Project from Ron Jacobs that cleans your Visual Studio solutions so you can quickly upload or email. 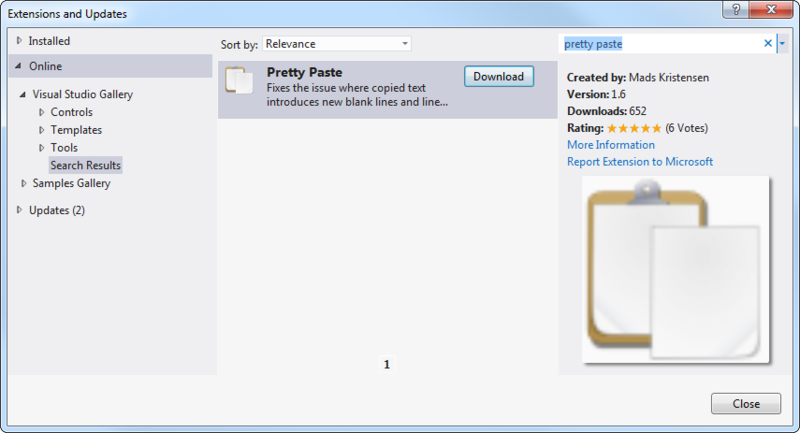 This functionality is available inside Visual Studio and also from the Windows Shell. 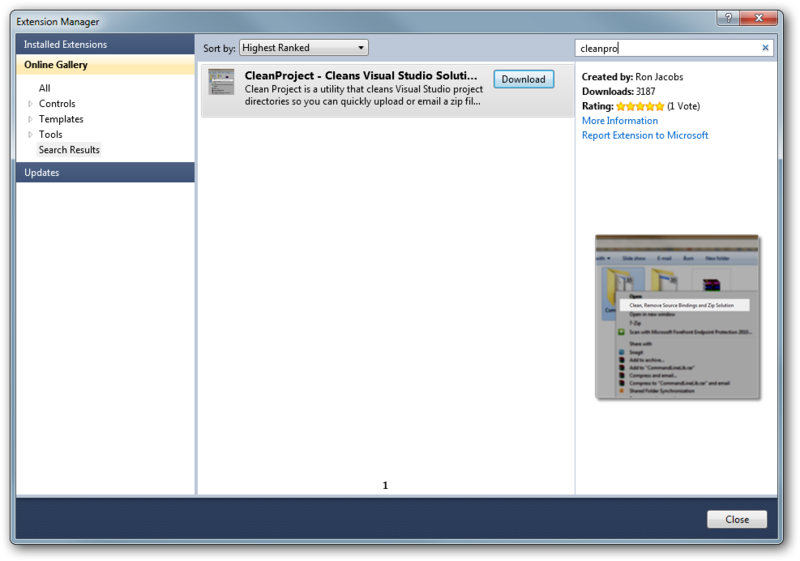 You can install CleanProject from Tools –> Extensions Manager in Visual Studio. Then search for CleanProject. In the References section below I listed links to other locations you can download the project from. You can also run CleanProject from the Windows Shell. Just right click the folder you want to clean and select Clean, Remove Source Binding and Zip Solution from the context menu. Thanks Ron Jacobs for your hard work on this utility. I look forward to further enhancements and/or other tools in the future.